The Pentagon’s new policy that places limits on the military service of transgender individuals goes into effect on Friday, nearly two years after President Donald Trump tweeted that he wanted to ban transgender individuals from serving in the U.S. military. 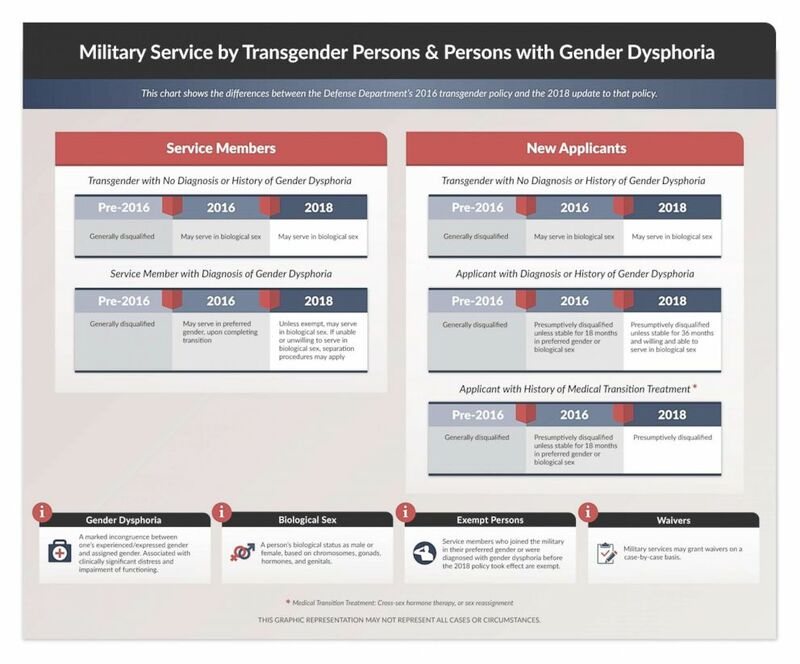 (Department of Defense) A graphic released by the Pentagon shows how individuals will be impacted by the new transgender policy. 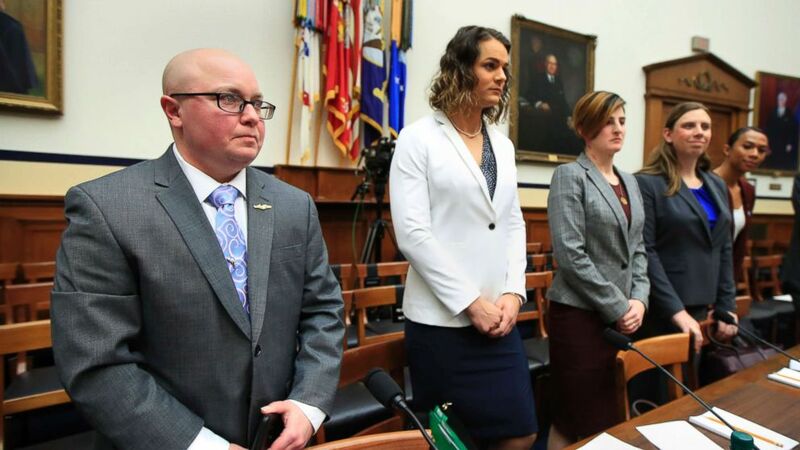 (Manuel Balce Ceneta/AP) From left, transgender military members Navy Lt. Cmdr. Blake Dremann, Army Capt. Alivia Stehlik, Army Capt. Jennifer Peace, Army Staff Sgt. Patricia King and Navy Petty Officer Third Class Akira Wyatt, attend a House Armed Services Subcommittee on Military Personnel hearing on Capitol Hill, Feb. 27, 2019.